The French Village condo complex is one of the many Marco Island condos that is not just beautiful and well situated but it’s also tough enough to survive a hurricane with its impact resistant windows and doors. 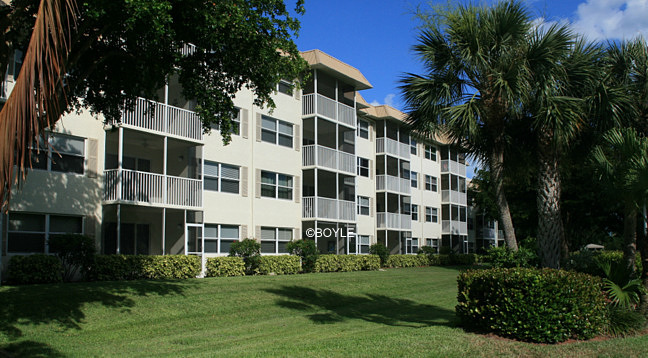 Built in 1979 and conveniently located across the beach at 411 S. Collier Boulevard, this condominium building is noted for its relaxing pool, nice garden view, and impeccable grounds. Monthly maintenance fees for French Village condos is $380. The maintenance fee includes master insurance, cable TV, lawn maintenance, landscaping , manager , pest control , reserve , security , trash removal and water & sewer. The minimum rental period in French Village is 14 days. A perennial favorite, French Village condos are very easy to rent all season long. There is only one, two-bedroom floor plan in French Village. Click here to see all French Village floor plans. The lifestyle in French Village allows little chance of a dull moment because there is no shortage of activities that will keep you occupied. Outdoor enthusiasts can hike, kayak, surf, play tennis, fish, bike, sail, or simply take a day trip to the wildlife park. For more conservative and laid back types, movie theaters, stores, and sumptuous restaurants are all just a short walk away. By staying at the French Village, you can experience and enjoy all the pleasures Marco Island has to offer without giving up the convenience of condo living.